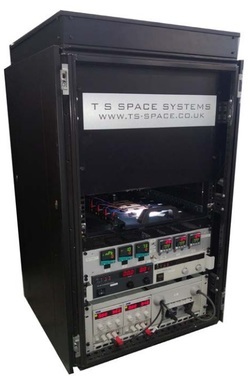 In 2012 TS-Space Systems announced the N-Zone solar simulator which builds on the success of the Unisim series and is designed for the accurate measurement of solar cells with >4 junctions. As with all our Unisim solar simulators, they exceed the ASTM, IEC and JIS international standards for spectral match and temporal instability. We work with many of the leading PV research groups around the world and our aim is to provide research tools to meet their requirements. The N-Zone was developed in response to the problem of accurately measuring multi-junction devices with >4 junctions. The simulator delivers the same, world leading close-match AM0 and AM1.5 spectrum as our Unisim range but with 2-12 adjustable, fully independent spectral zones. If you are new to Solar Simulators read our guide or view the brochure below for the N-Zone.